Sunfinity Sunflower | MG Webber West Country Grown Ltd.
A brilliant new product to our range this year! Grown in a fancy 5 litre pot, making an impressive entrance to the sunflower family. 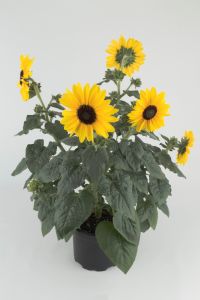 Sunfinity is a free-branching and blooming sunflower that is unique from any other sunflower in the market.